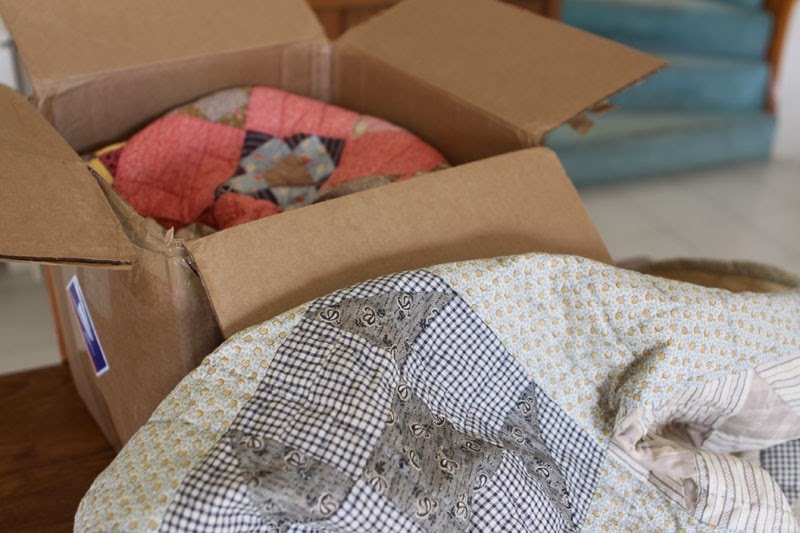 Last February I have shown you the antique quilt I received from USA. 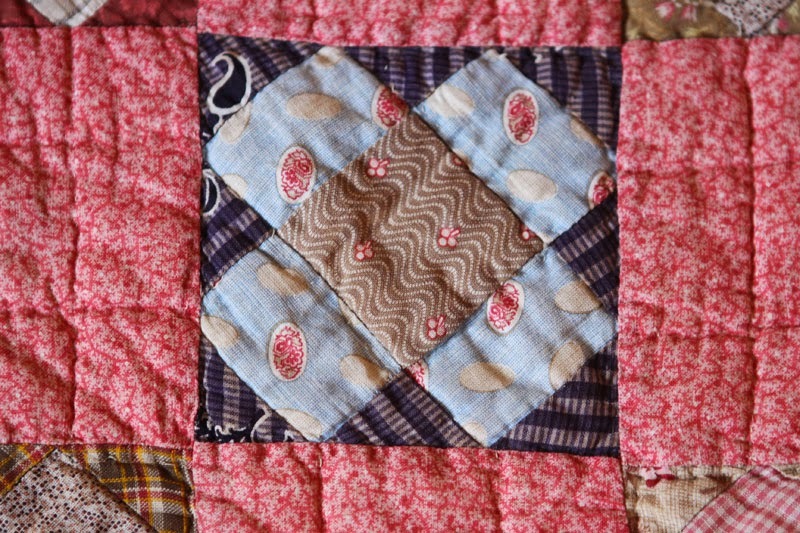 In the box, together with the Monkey Wrench grey quilt there was a second one : this pink quilt. 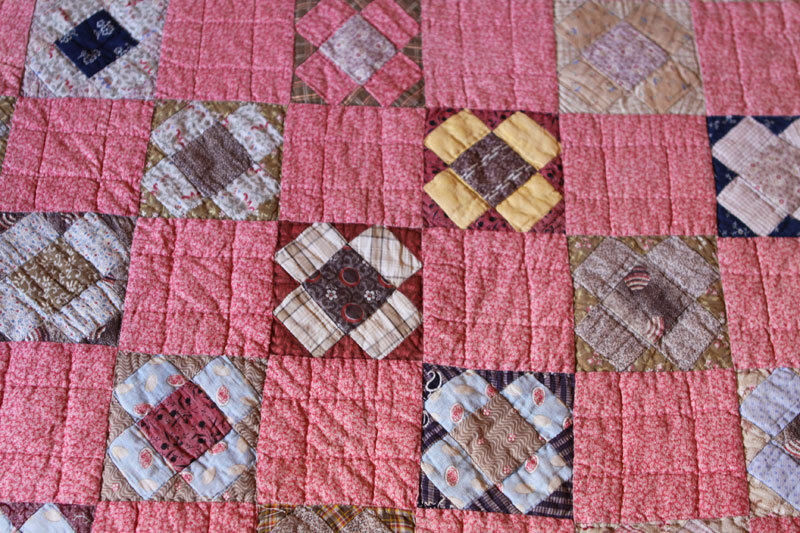 It's a wonderful antique 1870s quilt, the pattern is Water Mill small scale and the size is for a queen size bed. I love everything in it, but especially this incredible green sashing. The brown backing is as well beautiful (you can see it in the fourth picture). 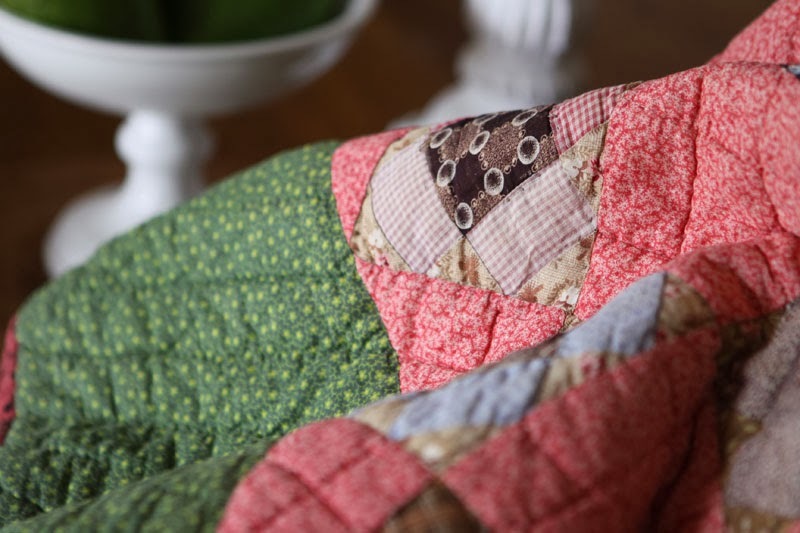 This is such an inspiring quilt, as regards the pattern, and the combination of colors! So beautiful colors !!! combinaition green/pink is very pretty..
Merci Agnes, bon dimanche et a demain! Une vraie beauté! J'aime beaucoup les couleurs et la petite touche de jaune aussi. ;^) Merci de partager. Deux merveilleux cadeaux ! Votre fils connait bien vos goûts et....a très bon goût aussi ! J'avoue ne pas arriver à choisir tellement les deux me plaisent ! Oh a real beauty! 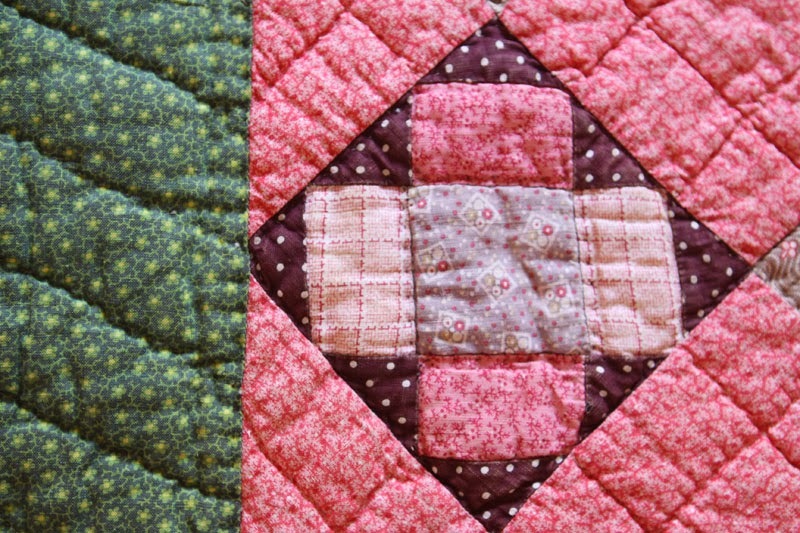 Love the combo of the green and pink with the blocks! Truly inspirational! Gorgeous! 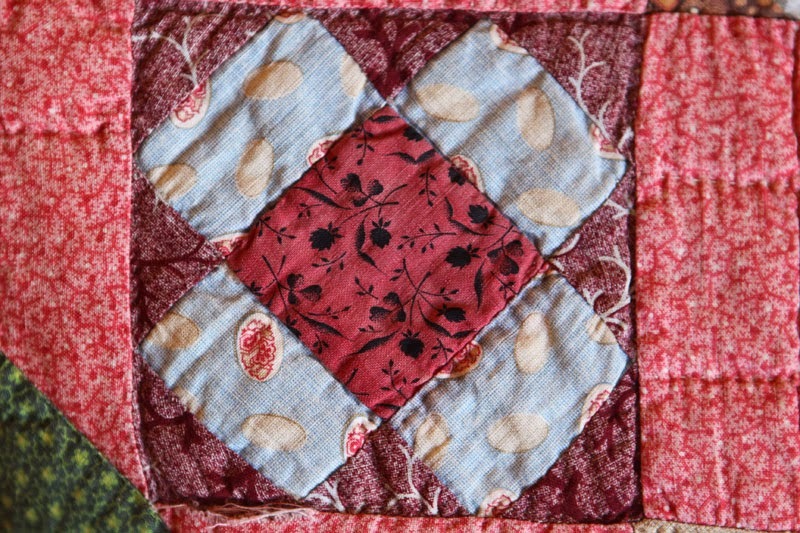 Thank you for the close up photos of the fabrics in the blocks. 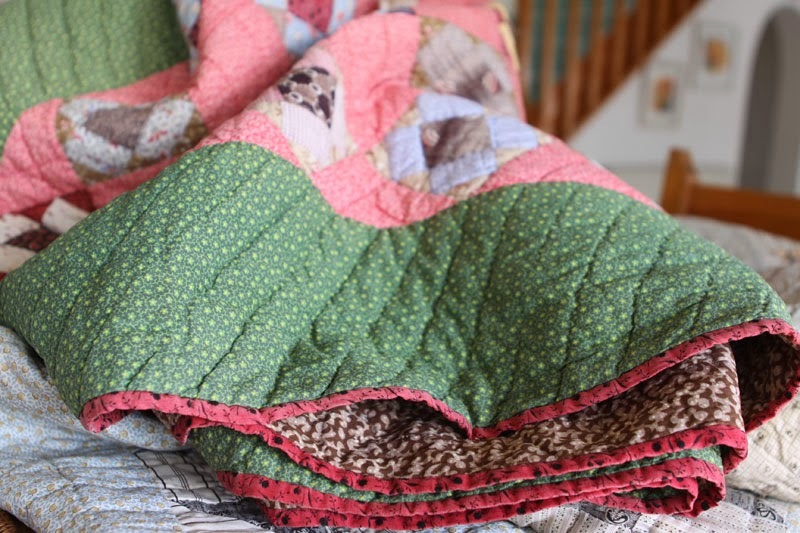 It is a wonderful combination and now I want to make one!! Thanks for the inspiration. 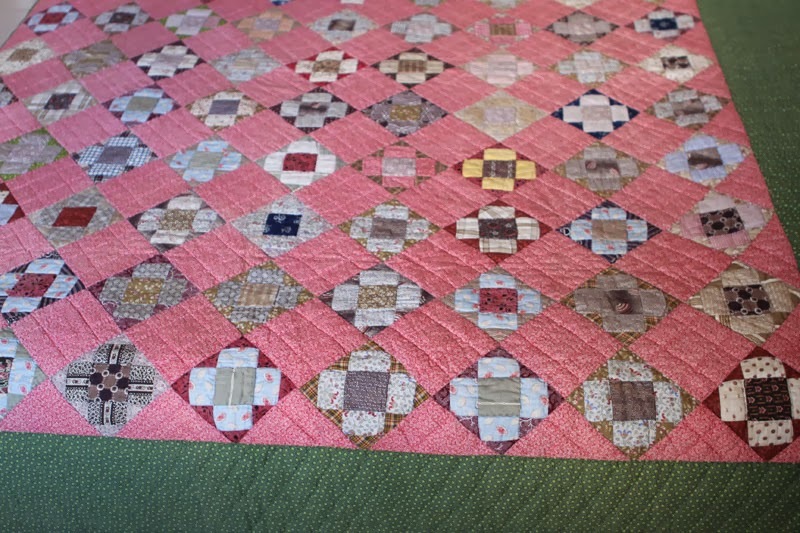 What a wonderful quilt you have; love the color pink in it as well as all the different colors. 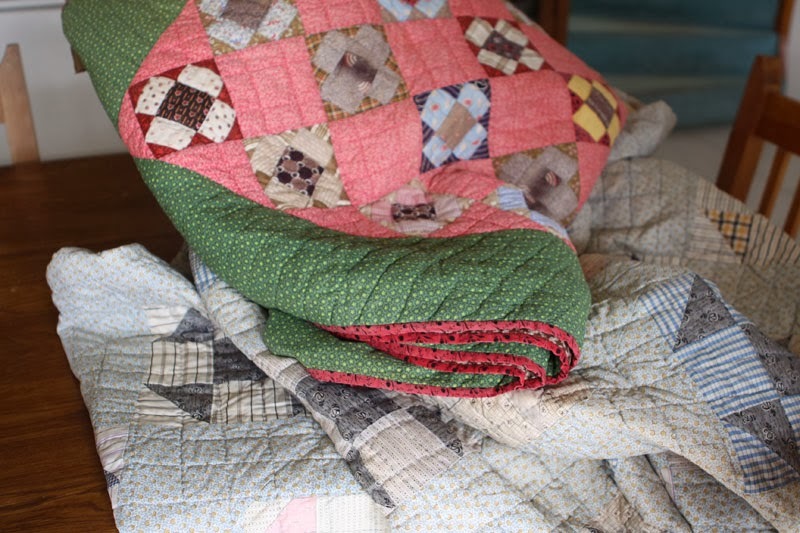 It's so nice to see all the close ups of the fabrics Christine! What a wonderful treasure! So lovely Christine, what a wonderful find! 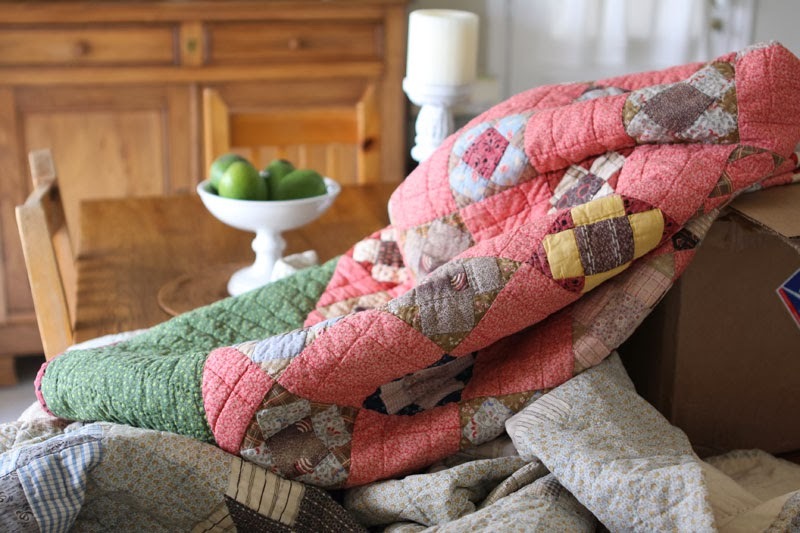 It looks really 'puffy' and cosy, I love the simple quilting :) And as usual Christine, stunning photographs!